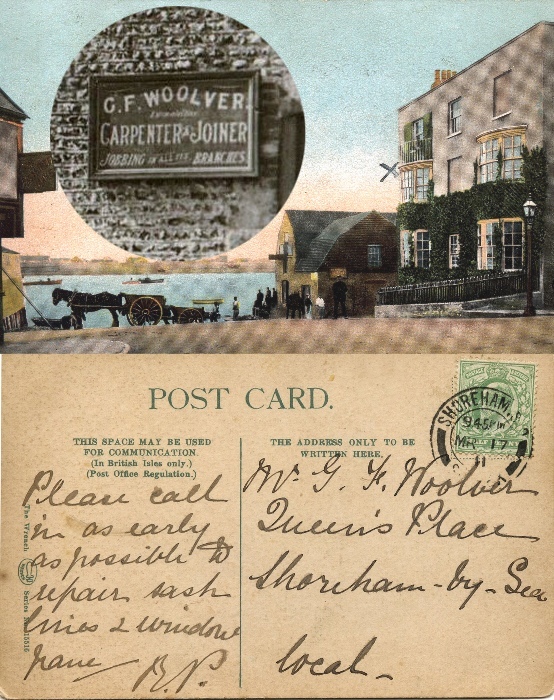 Shoreham’s early postcards were photographed and produced by a number of different people, the best known of them being W.Page of East Street, William Winton and his son who produced his cards at their printing works in Middle Street and sold them from their shops in the High Street and Brunswick Road, and Frank Rowe who developed and printed his photographs in the cellars of his shop at 18, High Street. 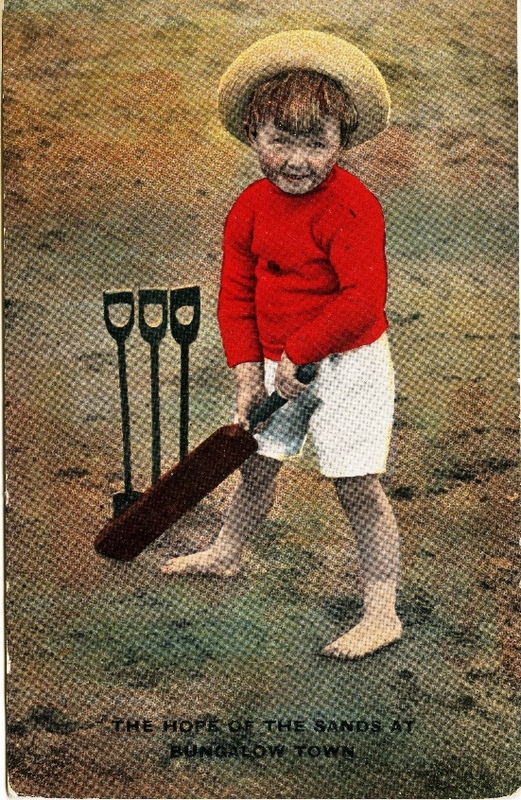 Most people looking through collections of old postcards are attracted by the photo or view shown on the fronts – some however are equally interested in the messages on the reverse. Messages included in the Shoreham collections are usually ‘chatty’ without much of relevance to the town but on some there are interesting snippets of information. There are those from holidaymakers who reveal their opinions of the Shoreham, the beach and the weather (mostly favourable) whereas those from WWI soldiers at the camp behind the town are less favourable, probably reflecting the basic and uncomfortable life they experienced whilst stationed there but was certainly far more preferable to the suffering they would later endure. There are also a few that involving occurrences and events that Shoreham folk themselves would have known and witnessed. 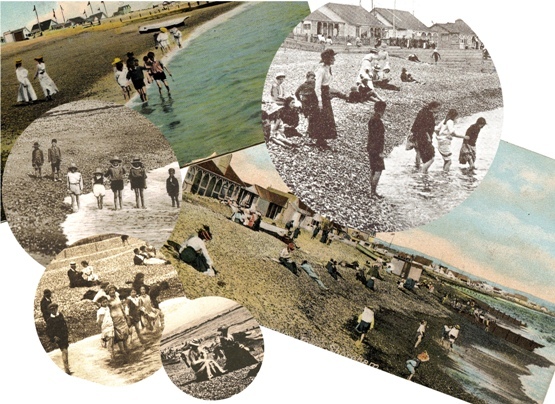 These are all examples from the collections of Doris Steers, Peggy Bailey and the Sussex Archaeological Society (SAS) which can all be seen on the web site http://www.shorehambysea.com. Each extract is followed by the shorehambysea.com historic photo gallery image reference number of the postcard it is taken from. Initially a holding/preparation camp during the first two years of the war for UK soldiers of the newly formed 24th Division which was subsequently to incur an horrendous 4,178 casualties on 26th September 1915 in France after leaving Shoreham. The tented land behind Shoreham was by 1916 used by new recruits from Derby and elsewhere as well as a convalescent centre for wounded combatants from the Commonwealth. Many of these men were Canadian which subsequently led to part of the camp being taken over by the Canadian Government. The complete omission of punctuation and the repetitiveness perhaps suggest not so much a lack of education but maybe a more a desperate fear of being returned to the Front and who can blame him? Was his ‘sickness’ mental rather than physical? What happened to him – did he manage to convince the Board not to send him back to France or was he returned nevertheless – did he manage to cope once again with active duty – did he survive the war? Without a name we shall never know. 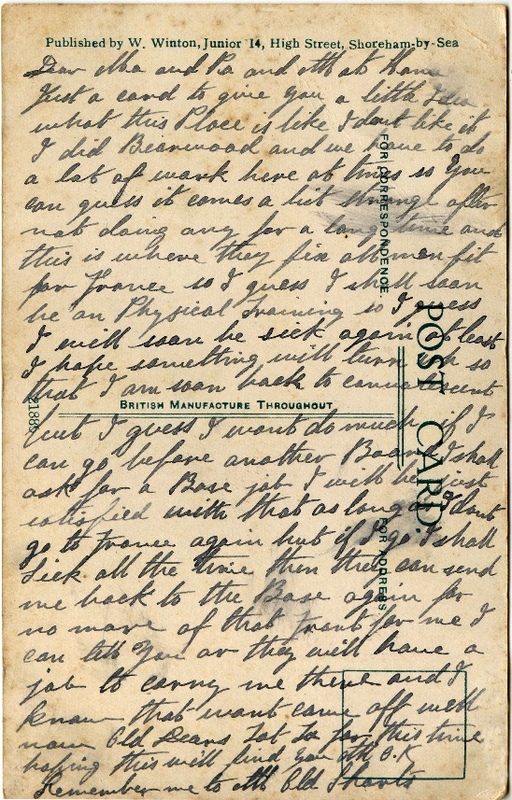 …….and a poignant final message of Feb 7th 1918 which includes “….we are leaving Shoreham this morning for overseas. I will write on arrival of the destinations….” (Peggy Bailey 64) Almost all of Shoreham Camp’s wartime soldiers ultimately left for , or returned to, France and we are all painfully aware that very many of them never came back. 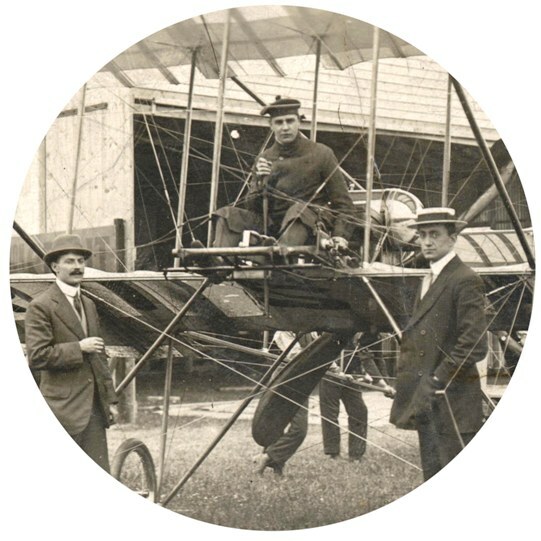 Douglas Graham Gilmour flew for the Boxkite Company before WW1 at air shows around the UK including Shoreham. Young, handsome and popular he soon earned a name as a daredevil type of flyer taking perhaps too many risks which once caused him to receive some rebuke from the Aviation Authorities. On the 17th February 1912 when just 27 years of age he was killed during an aviation accident at Richmond in Surrey – the same day as Ethel sent the postcard and showing that even then news got round very quickly.